The highlight of the new generation Porsche Cayenne to be unveiled at the Geneva Motor Show later this week is the Cayenne S model with its parallel full hybrid drive. The Cayenne S Hybrid has fuel consumption in the New European Driving Cycle of just 8.2 litres/100 kilometres and CO2 emissions of 193 g/km. In other words, it combines the performance of an eight cylinder with the economy of a six-cylinder. Led by the Porsche Cayenne S Hybrid, all models in the new generation are trendsetters in efficiency and performance in their respective segments. Compared with the former models, fuel consumption is down by up to 23 per cent, since the new Cayenne has been developed according to the principle of “Porsche Intelligent Performance”: more power on less fuel, greater efficiency and lower CO2 emissions. These objectives result, not least, from the introduction of the new Tiptronic S eight speed automatic transmission with Auto Start Stop and a wide spread of gear ratios, thermal management on the engine and transmission cooling circuit, on-board network recuperation, variable engine cut-off and intelligent light weight construction. Thanks to its special combination of materials for optimum weight as well as changes in the overall concept of the vehicle such as the Cayenne’s new active and extra-light all-wheel drive, weight is down for example on the Cayenne S by 180 kg – despite the improvement of product substance and an even higher standard of safety. This clearly has very positive effects not just on fuel consumption and CO2 emissions, but also on performance, agility, and handling. Benefiting from these features and new technologies, the new Cayenne offers even more driving enjoyment both on-road and off-road, combined with even greater everyday driving qualities and enhanced comfort. Extra space inside and greater variability is ensured by a 40 mm longer wheelbase. 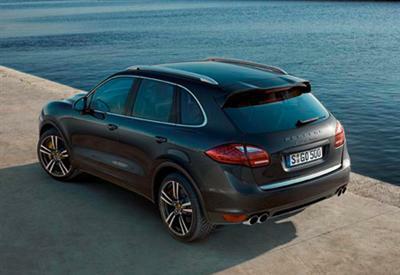 In all, the new Porsche Cayenne is 48 mm longer than its predecessor. 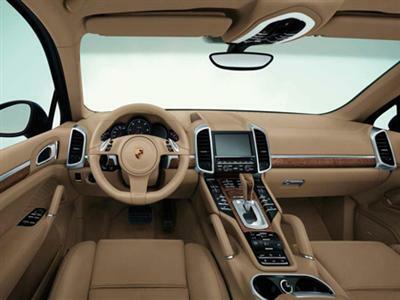 But despite its larger exterior dimensions, the new generation of the Cayenne is nevertheless more dynamic. Eye-catching is the brand-new, high-quality interior with the centre console rising up to the front with its upright gear selector, giving the forward section of the interior a cockpit feel. The rear seat moves fore-and-aft by 160 mm, with the backrest angle adjusting to three different settings. 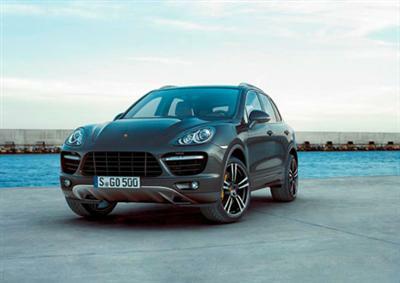 Sales of the new Porsche Cayenne in Australia begin on 24th July 2010. 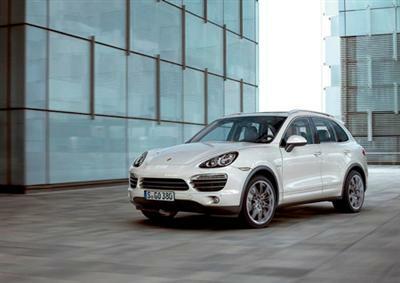 Initial models to go on sale will be the Cayenne S, S Hybrid and Turbo. These will be joined later by the V6 diesel and V6 petrol models. With CO2 emissions of 193 g/km, the Cayenne S Hybrid is not only the cleanest version of the Cayenne with the lowest level of emissions, but also the cleanest Porsche in the Company’s entire portfolio! In the intelligent interaction of the 3.0 litre supercharged V6 and the electric motor, the Cayenne S Hybrid focusses on maximum efficiency from the overall system. 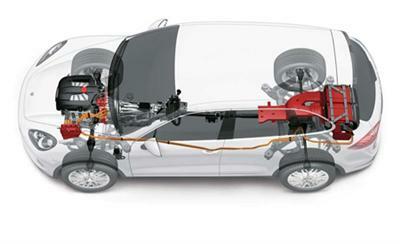 Depending on driving conditions, the SUV reaches this target with either only one drive unit operating by itself or with both drive units working together. In this context the 34 kW electric motor is the ideal partner for the 245 kW supercharged V6 engine with its high torque at low speeds. Together, the two drive units deliver maximum power output of 279 kW and peak torque of 580 Nm (at just 1,000 rpm) – delivering the same kind of driving performance as the Cayenne S with its V8 engine. The two drive units are connected to one another by a separator clutch masterminded by the Hybrid Manager. This separator clutch is essential to run the Cayenne S Hybrid either on its electric motor or combustion engine alone, or with both drive units operating together. Given a reserved, moderate style of motoring, for example in a residential area, this allows the driver to cover short distances on electric power alone and therefore absolutely free of emissions and with hardly any noise at a speed of up to 60 km/h. To ensure fast acceleration from take off, the electric motor may, however, serve to provide additional thrust through its boosting effect. Intelligent management of the separator clutch makes the transition among the hybrid-specific driving modes inconspicuous, comfortable and quick. At the same time the combustion engine may be completely switched off at speeds of up to 156 km/h, being fully disengaged from the drivetrain when no further power is required. In this so-called “sailing“ mode (cruising along without power), the drag forces exerted by the combustion engine and their braking effect are eliminated in the interest of lower drive resistance and fuel consumption. The normally aspirated Porsche Cayenne S with its high-torque 4.8 litre V8 engine is also significantly down in fuel consumption, in this case by 23 per cent to 10.5 litres/100 kilometres. At the same time the new engine delivers 294 kW, up 11 kW from the predecessor's 283 kW. Porsche Intelligent Performance also applies to the Cayenne Turbo, with the 368 kW 4.8 litre V8 biturbo consuming just 11.5 L/100 km in the New European Driving Cycle, again 23 per cent less than its predecessor. The 3.6 litre V6 petrol Cayenne now with 220 kW of power (up from 213 kW) has its fuel consumption in the NEDC driving cycle reduced by no less than 20 per cent to 9.9 L/100 kms. The 3.0 litre V6 Cayenne Diesel with 176 kW and 550 Nm likewise reduces fuel consumption by 20 per cent, down to 7.4L/100 kms. Together with the Porsche Cayenne S Hybrid, no less than three of the five versions of the new Cayenne consume less than 10 litres of fuel per 100 kms in the New European Driving Cycle, with two models emitting less than 200 grammes of CO2 per kilometre.